Haberberger, Inc. is thrilled to welcome Jim McGraw, of Kirkwood, to its growing team. 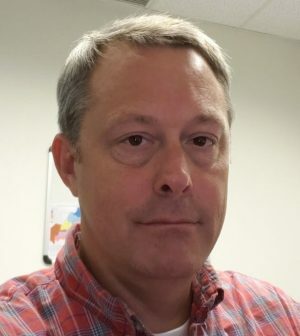 McGraw will be joining the Affton-based mechanical contracting firm’s plumbing department as project manager. McGraw joins Haberberger with more than 20 years’ experience in the plumbing industry. His background includes accounting, purchasing and project management. McGraw will be responsible for project management and estimating. Haberberger’s plumbing division was established in 2016, handling a variety of projects, including 24-hour emergency service and repair; drain cleaning, video pipeline inspection and sewer line location; water and sewer line breaks repair and replacement; rehab of existing buildings, new construction, and plan and spec and design-build. Haberberger, Inc. is a 70-year-old mechanical contracting company that offers complete HVAC installation, customized maintenance programs, process piping and piping fabrication, plumbing and refrigeration and energy management services to a variety of industrial and commercial customers.